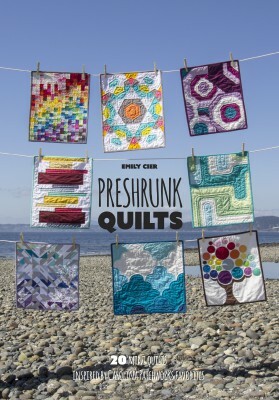 Preshrunk Quilts is also available on Amazon. A bundle along with Color Continuum — no. 05 gradients is available here. 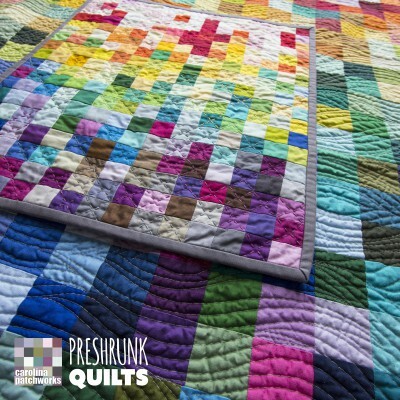 See the Unshrunk Quilts here. 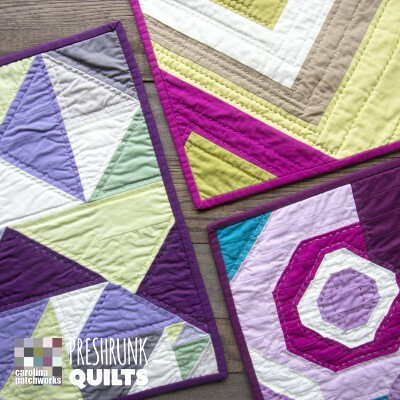 I love mini quilts — they’re cute, quick to make, and a great way to try out an idea or a new technique. And they’re little. So, being me, of course that meant I had to make a book full of ’em! 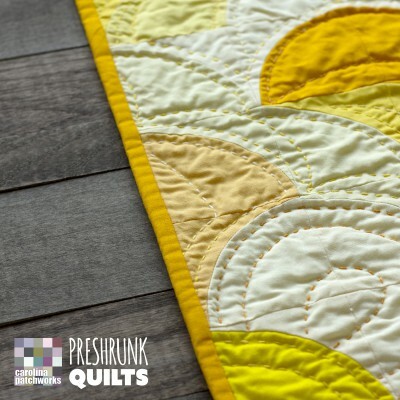 Preshrunk Quilts (get it?) 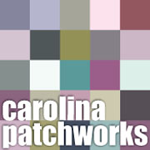 is 20 little tiny versions of some of my favorite Carolina Patchworks designs. And yes, they were as fun to make as it looks like. 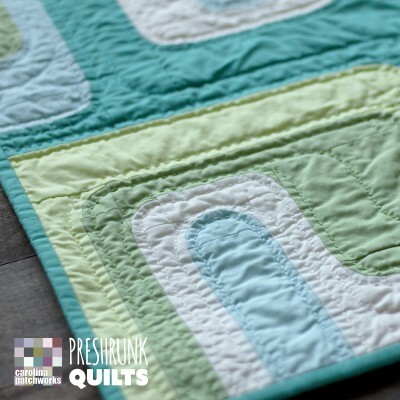 Since they were so little — and in the spirit of trying out different things with mini quilts — I hand quilted them, which was also a lot of fun and I love how they turned out. 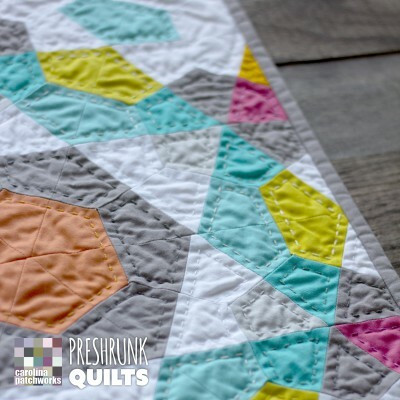 Grab your mini scissors, your mini sewing machine and your mini thread spools and make some mini quilts! 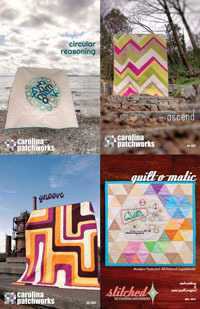 The inspiration for these projects is easy to see. They’ve be shrunk, cropped, re-worked, or just inspired by their bigger versions. 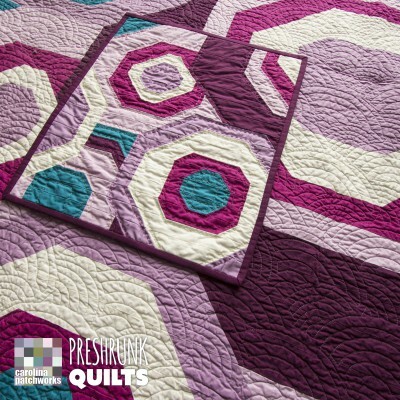 Looking for a Unshrunk Version of one of these quilts? 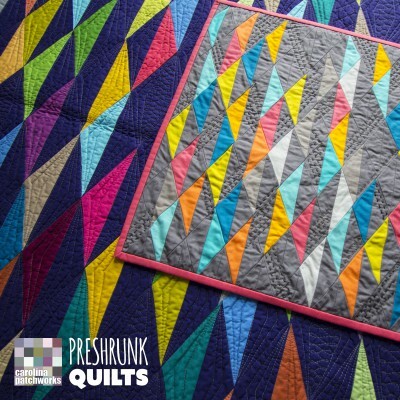 Click here for the Unshrunk Quilts. Two beautiful new collections, Emily! These Preshrunks are adorable, and I’m just wondering how big they end up being. I love your work! Most of them are 15″ x 18″. A couple are slightly bigger just to keep the proportions of the design. 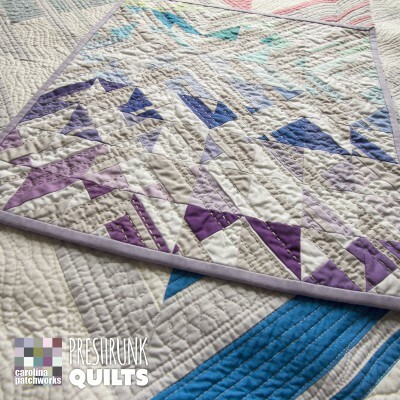 Great little quilts – looks like a great book which I will have to get my hands on!